I know this sounds more like a pitch than an article, but I’m not a writer and actually not much of a pitch man either. I do know my business though and I would like you all to get to know me and what drives my passion for cleaning / restoring headlights. I want to tell you about a franchise opportunity without all the crazy franchise fees. I have watched car dealers struggle with headlight cleaning / restoration for many years now and to be perfectly honest, I’m getting a little tired of fixing all the screw ups. LensDoctor® is looking to change the way headlights are restored and create a standard people will recognize as the right service. I want to help you satisfy your customers’ needs. Headlights are an important safety device and should be taken more seriously. The NHTSA has introduced new regulations that are the direct result of the safety issues attributed to cloudy headlights. 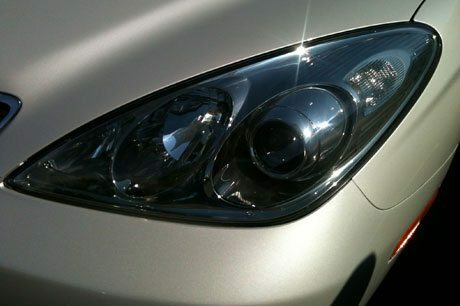 However, people continue to search for a “quick fix” to restore headlights. Most all have turned to “products” for the answer and while “products” can make headlights look somewhat better, no consideration was given to the health risks that these products pose… I took a much different approach. I founded LensDoctor® way back in 2002 for personal reasons. I was out of work after an accident and needed to find something I could do. In my boredom, I took on the task of cleaning / restoring my own headlights. I had no detailing or painting background to cloud my thinking and that made it possible for me to create something unique. I’ve been inches away from headlights daily since then and now, I believe, it’s time I passed on all that I’ve learned. My approach to cleaning / restoring headlights is based on the fact that there is a right way and a wrong way to do everything. What I mean is, since I would be the one doing all the testing, first and foremost, it had to be safe to use (for me and the car). My ultimate goal was to be able to repair every kind of damage with consistent results. It also had to be a viable alternative to replacement. Oh, and it had to be simple too. If it were an art that only I could do, few would benefit. About the only damage that cannot be repaired are deep cracks. What I see a lot of are the minor cracks, called crazing (illustrated in the photos). The very chemicals people are using to restore their headlights cause crazing. The crazing doesn’t always show up right away though. It’s only after the chemicals have had a chance to leach from the plastic, like after the car has been moved into the sun. Seriously though, when it comes to using chemicals, I’m really surprised that employers would put their employees in harm’s way without at least insisting they use the proper safety equipment. Ignorance is bliss, I guess, and the manufacturers of these products would rather wait until someone gets sick and pins the blame on them before taking action. LensDoctor will be offering up the secrets I’ve learned over the past 14 years of my hands-on, field-tested and patented restoration process. I will offer, free online training, free online support, free dealer location service on the web and more. LensDoctor’s patented headlight cleaning process delivers consistent results with unsurpassed quality that makes customers smile uncontrollably. The most important thing you need to know about my process though… isn’t the fact that it COSTS LESS to do but that it is SAFE TO USE. There is money to be made folks and headlights to be saved… LensDoctor® can provide everything you need to launch a thriving headlight cleaning / restoration business today. Are you ready to learn the right way to do this or do you prefer to be left in the dark? I want to tell you about a franchise opportunity without all the crazy franchise fees.